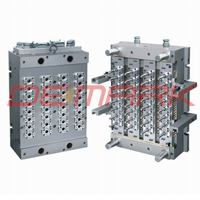 32 Cavities PET Preform Molds With Hot Running System (DMK-32c) - Demark Blow Molding Machine & PET Preform Mould Co., Ltd.
Demark Machinery, specialized in manufacturing 32 cavities PET Preform Mold@(PET Preform Mould@) injection molding system, consists of technologists with rich experience, and senior engineers with master's degree and professional in 3D. 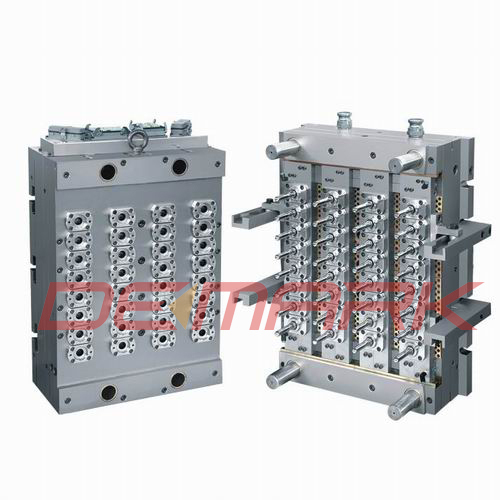 We invite many technical committee members and senior professors in mould line are as the technical consultants for our company. Various kinds of processing equipment and detection measurement instrument are imported, as well as special drawing soft is applied in designing performs, samples and manufacturing testing mold. We supply special technology training and other good after-sales service.